Due to the recent deluxe remastered release on the 33rd anniversary of this emblematic “Incantation” album, I suddenly reflected upon the lunar symbolism on some of the works of this renowned musician, who curiously before starting a solo career, also took part in early 1970 on the album Shooting at the Moon, the second solo album of Kevin Ayers. (Ayers was a founding member of the pioneering psychedelic band Soft Machine in the late 1960s, and was closely associated with the Canterbury scene). 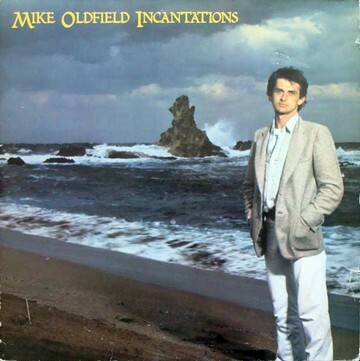 Though Mike Oldfield has celtic blood (from his Irish Mother) and included some celtic instruments on his albums and even dedicated an entire album to Celtic songs, this specifical references to the moon are certainly not to any Celtic Moon Goddess at all. For those not acquainted with Mike Gordon Oldfield, he is a talented English multi-instrumental musician and composer, whose musical styles have been varying over the years blending progressive rock, folk, ethnic or world music, classical music, electronic music, New Age, and even dance. His music is often elaborate and complex in nature. He is best known for his hit 1973 album Tubular Bells, which launched Virgin Records, and for his 1983 hit single “Moonlight Shadow”, from “Crises” (1983) and “Tr3s Lunas” (also known as “Tres Lunas”) (2002) two of his 26 official albums, not only have direct reference to the Moon but also depict a full moon on their covers. The album’s cover art was by Terry Ilott. 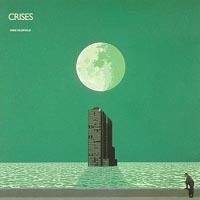 Oldfield makes reference to the artwork with the line, “the watcher and the tower, waiting hour, by hour” (printed in the back cover of the LP, and sung by Mike Oldfield on the title track). In the interview mentioned before, Oldfield stated that “he is the man in the corner and the tower is his music”. 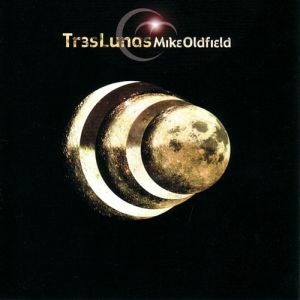 When translated from the Spanish language to English, the album name Tres Lunas is Three Moons. This is reflected in the typeface on the album cover, with the letter ‘e’ being replaced with a numeric ‘3’. 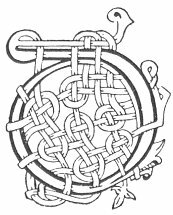 Oon this work the lunar symbolism is present along with the trinity of the number three. But let us concentrate now on the “Incantations” double album. 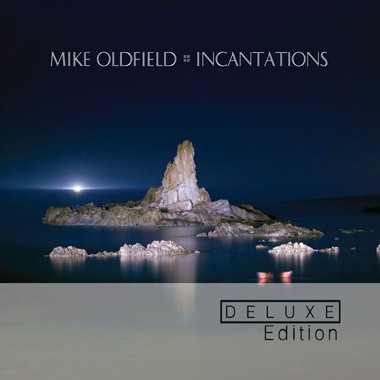 Originally released in November 1978, was Oldfield’s first and only studio double album. Comprising of four parts of the title track, it was a masterpiece of minimalism, with Oldfield again playing many of the instruments, with old friends including David Bedford conducting the choir and orchestra, Pierre Moerlen on drums and Mike’s sister Sally on vocals. It is probably fair to say that “Incantations” used lyrics more heavily than any of Mike’s previous albums. 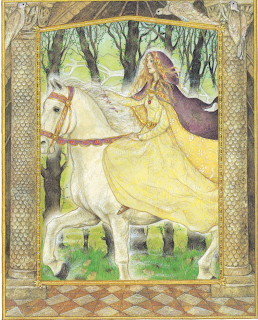 Most of the lyrics used on “Hergest Ridge” and “Ommadawn” were seemingly nothing more than nonsense lyrics, courtesy of Clodagh Simmonds, though a few Irish Gaelic words found their way onto “Ommadawn”, and on the song “On Horseback” which of course had lyrics in English. “Incantations”, however, drew on two works of English literature for its lyrics, and also incorporated some lyrics in Latin. On looking at them more closely, it emerges that, despite being from different sources, and seemingly being about different things, the lyrics share common themes. As posted on the awesome open website dedicated to Mike Oldfield: Tubular Let’s start with the lyrics heard first in Part 1, then move on to those from Part 2 and Part 4. Diana was known by the Romans as the virgin goddess of the moon, as well as of fertility. Women worshipped her as Diana was said to give an easy birth for their children (hence Diana’s position as patroness of childbirth). Diana’s being equated with the Greek goddess Artemis led to her becoming goddess of hunting, as well as nature and animals. 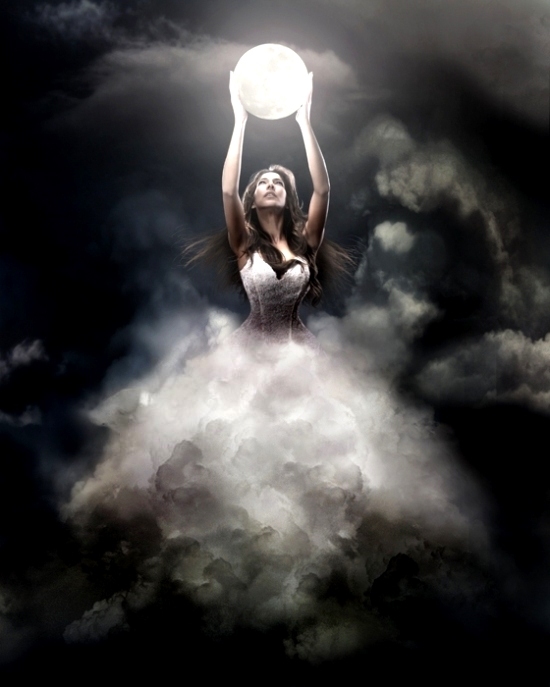 Luna was also a Roman goddess of the moon, though she later became combined with Diana. The Latin word Luna means ‘moon’. Lucina was the name given in Roman mythology to Juno (queen of the Olympian gods) as goddess of childbirth. The name comes from the same root as lucinus: bringing to the light. The next set of lyrics we hear are in Part 2 at 11:40. These are from American poet Henry Wadsworth Longfellow’s epic poem “The Song of Hiawatha”. The poem is written in 22 parts, plus an introduction. If you would like to read the whole work, you can read it online at Poets’ Corner. It would seem, to look at these sections, that there was nothing in common here with the Latin lyrics first found in Part 1. However, if we look at Part III of the poem, ‘Hiawatha’s Childhood’ (which you can find on the Poets’ Corner page if you want to read the whole thing), we find the line “From the full moon fell Nokomis”. She is also later referred to as ‘Daughter of the moon’.Nokomis is Hiawatha’s grandmother, and the one who cares for Hiawatha after his mother dies. 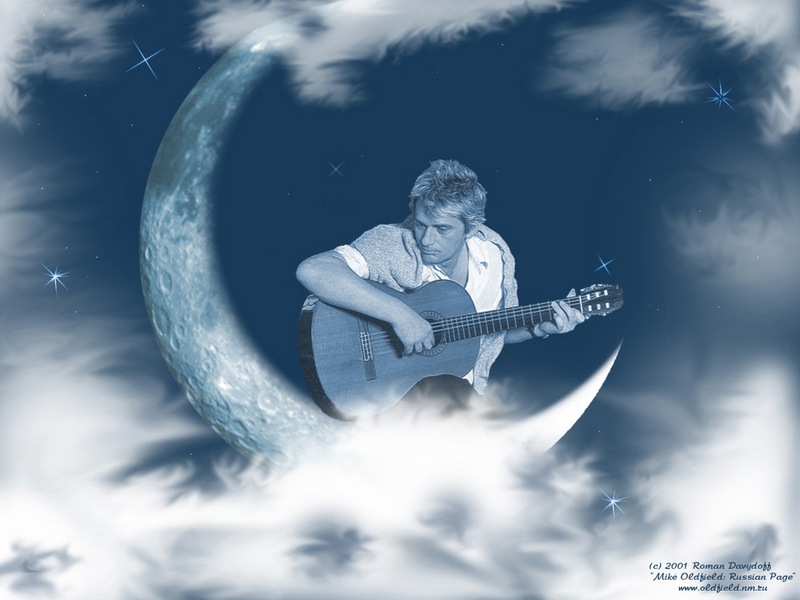 In that, we have the connection with the moon – ‘luna’ from the first set of lyrics. The canoe that’s described in ‘Hiawatha’s departure’ is carrying a group of visitors, led by “The Black-Robe chief, the Prophet, / He the Priest of Prayer, the Pale-face”. This is a Christian priest, come to preach Christianity to Hiawatha and his people. After doing this, the visitors fall asleep. While they sleep, Hiawatha asks Nokomis to take care of them, and then departs westward, into the setting sun. The image of the Red Swan comes from a tale from the Chippewa (Ojibwe/Anishinaabe) nation of native Americans, which tells of a red swan who is one day spotted by a young native man when out hunting. He is struck by its magnificence, as it fills all the air around him with a red glow. He shoots all his arrows at the swan, determined to catch it, but misses each time. He returns later with three magic arrows and with the third he hits the swan. To his surprise the swan doesn’t fall over, dead, but instead flies off towards the setting sun (and so he is led off on a great adventure). 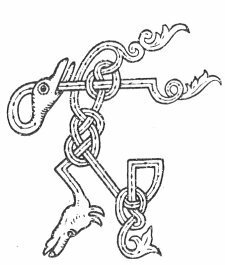 The imagery of the swan ‘filling all the air with splendour’ ties in, as does it being ‘wounded by the magic arrow’ (though it seems in the story that the swan is not really wounded by the arrow through its neck, or at least not affected by it). Longfellow seems to suggest that the swan is bleeding – “staining all the waves with crimson, with the crimson of its life-blood”. The version of the tale I read certainly does not have the swan bleeding. This use of native traditional imagery, blended by Longfellow into his own imagery, is something that occurs throughout ‘The Song of Hiawatha’. The lyrics found in Part 4 (starting at 15:03) come from the beginning of Act 5, Scene 1 of the play ‘Cynthia’s revels’ (or ‘The Fountain of Selfe-Love’) written by Ben Jonson in 1599 (Performed 1600, published 1601). The section is often known as ‘Hymn to Diana’ (though also known as ‘Ode to Cynthia’, ‘The Hymn of Hesperus’ and ‘Queen and Huntress’ – I would imagine that, coming from a play, Jonson didn’t title the ‘poem’ himself) and is sung by the character Hesperus. This version uses modernised English spellings. Anyone interested in reading the whole play, with original spellings, can find it online at the Public Domain Modern English Text Collection of the University of Michigan, though I must say that this version doesn’t clearly identify characters, making it less than ideal. Mike made some alterations to the poem for its use in Incantations. I’ll look at the poem in its original form, then detail Mike’s alterations below. The poem addresses the moon goddess Diana, or Cynthia (this name presumably coming from Cynthus, the hill in Delos which was the birth place of Diana and Apollo). In literature of the time, Queen Elizabeth 1st (of England) was often addressed as Cynthia, as like the goddess, Elizabeth had a reputation for being a virgin. She also was seen to outshine all her court. ‘Cynthia’s Revels’ was an attempt on Jonson’s part to gain favour in Elizabeth’s court. A key feature of the play is that there is to be a night of celebration in Cynthia’s court, where a play will be performed. Not coincidentally, Elizabeth held regular nights of festivities at which such entertainment was provided; it was on one of these nights that Jonson hoped that ‘Cynthia’s Revels’ would eventually be performed. We therefore find things in the play that aim to compliment Cynthia, and therefore Elizabeth as well. This ‘Ode to Cynthia’ is a particularly visible form of this flattery of the queen. The play was indeed performed at Queen Elizabeth’s court. It seems it wasn’t a complete success however, partly because the play was a heavy satire on the exact type of people who were sat in the audience – that is, the royal courtiers. Jonson, however, later met with success in the court of Elizabeth’s successor, King James. It asks of the moon that, now the sun has gone down, she keeps the ‘state’ in the ‘wonted manner’. The poem is asking her to keep the situation the same even though the sun has gone down; that is, keep it light (that is, to make a ‘day of night’), by shining. Hesperus is god of the evening star, or the planet Venus as we now know it to be (back then, the belief was that there was Eosphorus, the morning star and Hesperus the evening star – we now know that these are both in fact Venus, but as they appeared at different times, they were believed to be separate objects and so were given different names). Being one of the first ‘stars’ to appear, it is seen by Jonson that Hesperus ‘entreats’ the moon’s light – it comes up first, then asks the moon to shine. The second stanza (verse) asks the earth to “let not an envious shade dare itself to interpose”. Shade in this case means shadow; it’s asking the earth not to eclipse the moon, by allowing its shadow to get in the way, as Cynthia’s shining orb (the moon) was made to ‘clear’ (in this case, brighten) the heavens when the day has finished. Cynthia is asked to “Bless us then with wishèd sight”, in other words, to let us see this sight that we wish to see – her appearance (the sight of her being so wonderful that her appearance is a blessing). The third stanza addresses Cynthia the huntress, as opposed to the other two stanzas which address Cynthia as moon goddess. It seems to refer to the legend of Diana and Actaeon where Diana, when tired from hunting, bathed in her sacred valley, in a small pool fed by a fountain, in a cave. Diana had given her bow and quiver (the implements of archery associated with Diana) and her javelin to one of her nymphs (therefore having laid them ‘apart’ – to one side). Actaeon stumbled across this cave while hunting for deer, and saw Diana naked in the pool. Diana was enraged, and wanted to reach for her arrows. She was unable to, so turned Actaeon into a stag (a hart) instead. He ran away, but was startled by the sight of his own reflection in a pool of water, and stopped. When he did so, his dogs caught up with him and, not recognising Actaeon, tore him apart. Here, however, Jonson is making a request; for Cynthia to put down her bow and quiver, and stop hunting, allowing the ‘flying hart’ (escaping deer) ‘space to breathe’, and live at least for a little time without fear of attack. Whoever this is aimed at (whether Cynthia, Queen Elizabeth, or both), it seems that Jonson would rather have her making a ‘day of night’ than ‘hunting’ people (perhaps acting rashly in the process). "Foggy Dew" : A collaboration with "Aoifé" on "Peace Partners"
For those interested to colaborate with a noble cause, I am proud to announce that my musical colaboration of the traditional Irish song “Foggy Dew”with the awesome singer Aoifé is now available from Peace Partners . Peace Partners has the blessed mission to gather as many artists as possible, ranging from amateurs to professionals, across different genres, and develop an album together that would not only promote the ideals of peace and freedom through music, but also would foster International collaborations as part of this process. All proceeds are donated to organizations that demonstrably improve this world we all share. Amnistie internationale Canada francophone and War Child Canada have already signed on as part of the Peace Partners project. Reflective of our intent, it has been proposed that we submit the album to the United Nations, as a testimony to the hope that continues to exist in the world. On a couple of previous posts I discussed about the lunar influences on theThe Gaulish Lunisolar Calendar System Properties and Months and Historical Sources, which in fact is an attempt to reconcile both the cycles of the moon and sun, as is the modern Gregorian calendar. 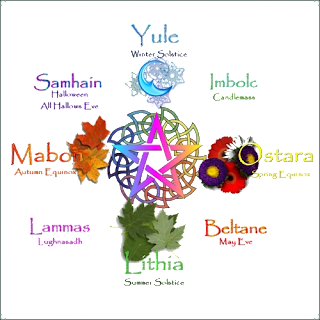 It is time now to take an insight to The Wheel Of The Year, a NeoPagan calendar based upon the annual cycle of Earth’s seasons. Seasonal Festivals or Celtic Sabbats, and the observance of Solar energies at the solstices and equinoxes and the Fire energies on the cross quarter days, is a common theme throughout the world. The festivals themselves have historical origins in Celtic and Germanic pre-Christian feasts, and the Wheel of the Year, as has developed in modern Paganism and Wicca, is really a combination of the two cultures’ solstice and equinox celebrations. When melded together, the two European Festival Cycles merge to form eight festivals in modern renderings. These festivals have been utilized by European cultures in both the pre- and post-Christian eras as traditional times for the community to celebrate the planting and harvest seasons. The Wheel of the Year has been important to many people both ancient and modern, from various religious as well as cultural and secular viewpoints. Natural processes are seen as following a continuous cycle. The passing of time is also seen as cyclical, and is represented by a circle or wheel. The progression of birth, life, decline and death, as experienced in human lives, is echoed in the progression of the seasons. This cycle is seen as an echo of life, death and rebirth of the God and the fertility of the Goddess. The full system of eight yearly festivals held on these dates is unknown in older pagan calendars, and originated in the modern Wiccan religion. These eight major festivals (or “sabbats”) are distinct from the Wiccan “esbats” (being considered the Wicca as the largest Contemporary Pagan religion and Neo-Druidism forms the second largest) ,which are additional meetings, usually smaller celebrations or coven meetings, held on full or new moons. Janet and Stewart Farrar describe esbats as an opportunity for a “love feast, healing work, psychic training and all. The First Four “Quarter Days” or “Solar Festivals” fall on solstices and equinoxes, and are loosely based on or named after the Germanic festivals. 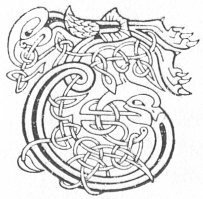 The Other Four “Cross-quarter Days” are similarly inspired by the Gaelic “Fire Festivals”. 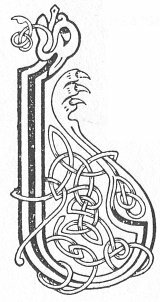 While most of these names derive from historical Celtic and Germanic festivals, the non-traditional names Litha and Mabon, which have become popular in North American Wicca, were introduced by the American academic, poet and influential figure in the Neopagan religion of Wicca Aidan Kelly in the 1970s. Most people tend to expect ancient relics to be located in the middle of nowhere, far from habitation or modern buildings. However, the highly impressive well-preserved megalithic tomb is situated in a field amazingly close to the back of a row of cottages near St Cleer, Cornwall. It is known locally as “the giant’s house” Standing 9 feet (2.7 m) high, it consists of five standing stones capped by a large slab. Trethevy Quoit is situated in the Caradon District north of Liskeard in the village of Tremar Coombe. Nearby are The Hurlers, three stone circles dating from the late Bronze Age. The site is managed by the Cornwall Heritage Trust on behalf of English Heritage. Like other portal tombs of this type, Trethevy Quoit was originally covered by a mound. The remnants of this suggest a diameter of 6.5 meters. The remaining seven stones and the 3.7 m long and 10.5-ton cover slab were inside the mound. The huge capstone here weighs about 20 tonnes, and manoeuvring it into position was a considerable feat of engineering. At the upper end of the cover slab is a natural hole, which may have been used for astronomical observation. This hole has provoked much curiosity over the years, but the exact reason, and whether it really did have a purpose or not, remain unknown. Curiously, the sloping angle of the top of this hole is reminiscent of many free-standing stones, as discussed on my previous post regarding the Stones of Stenness, in the Orkney Isles (Scotland). The group of horizontal stones is composed of a fallen back wall, two side wall stones, which overlap, a front stone and a somewhat remote flanking stone. The special feature of Cornish portal graves is that by such stones sometimes a smaller partially closed area is created before the front end. Some stones have hole-like perforations as decoration. 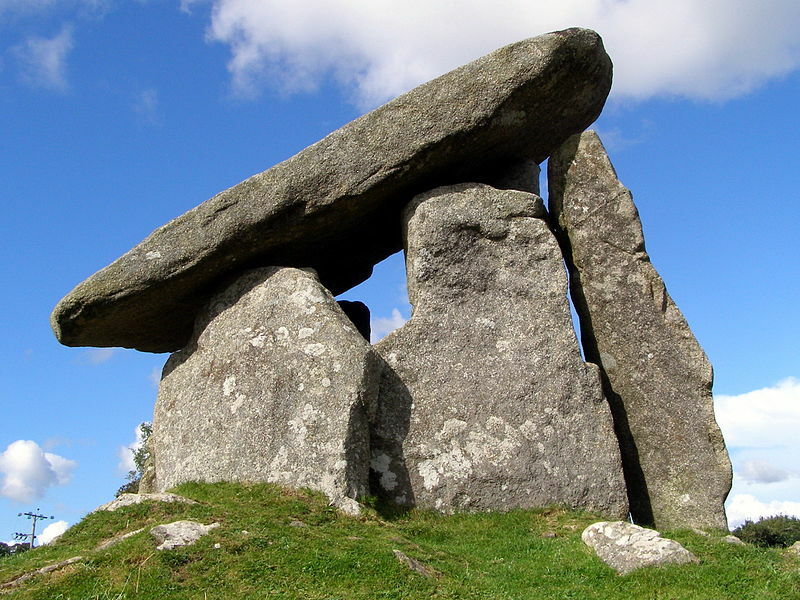 Also known as cromlechs and portal dolmens, excavations have shown that these kinds of sites were constructed in the early and middle Neolithic period between 3700-3300 BC. They were used over long periods as communal tombs or ossuaries to house the bones of the ancestors. Due to the acidity of the soil no bones have been found in Cornish quoits, but excavations elsewhere have revealed human bones in the chambers and pits and postholes in the forecourt area. It was not unusual for quoits to have been the focus for Bronze Age funerary rituals in the form of cremations placed in burial urns. It may be that in prehistoric times the ancestral dead were considered to be mediators between the community and its gods, and that places like this were an important interface between these two worlds. The front stone is often called an entrance stone, although in most portal graves this can not be moved. The Trevethy Quoit is a rare exception here, because a small rectangular stone moving at the bottom right of the front allows access to the grave chamber, which is now opened only very rarely. One unusual feature is the doorway, which has been cut out of the entrance stone. According to historical theories, this may have been used to enable bodies to be put into the chamber. This theory is supported by the remains of a mound lying at the base of the structure — the mound is thought to have originally acted as a ramp to aid access to the chamber for burials. The back of the chamber has collapsed inwards and now forms a pile inside the chamber. Erected this stone would be about the height of the front stone, so that the cover slab would not have once been held-up by the side stones, but rested almost horizontal solely on the front stone and rear walls. However, there would have been between the support stones and the side walls a considerable gap, by which soil could have penetrated into the grave chamber. It is therefore likely that the collapse of the rear wall and the falling-down of the cover slab damaged the side stones. Trethevy Quoit was first mentioned in 1584 by J. Norden, in a topographical and historical account of Britain, but which was first published in 1728. 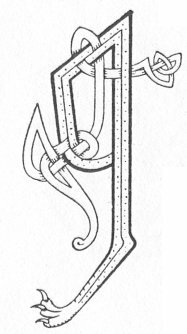 Hencken in 1932 wrote the first modern representation, in which he explained the special nature of the antechamber, and pointed out parallels to structures in Brittany. Recent excavations showed that this type of megalith was erected in the Neolithic period between 3700-3500 BC and were used over a long period of time as community graves.